1. Is the neighborhood secured: You don’t want to live in a place where you sleep with your eyes open, money paid must give value so this point is very important also find out about the security system is it a may guard, night watch, vigilante etc and how do they operate, also when are you expected to be at home at night especially when you work late, so that you wouldn’t be locked out from your house throughout the night when you return from work. Also check out for alternative exit in case of any emergency. 2. The State of the road: We all live in Nigeria where some of our roads are in bad condition, it is therefore important to consider the road before you rent a house especially if you drive a car always rent an apartment where the road is motor able. Most at times people are often deceived during the dry season by the state of the road and during rainy season they can’t believe the transformation of the road. When next you go for house inventory during dry season, please endeavour to interview people living in the neighborhood on the state of the road. 3. Is the area water-logged: this fact can be seen on mere observation of the fences of the houses within the neighborhood, just looking at the wall you would observe marks of water lines even if it has being painted a closer look will disclose this fact. 4. 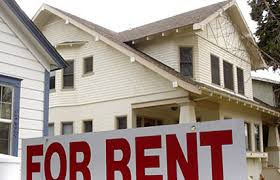 How long has the property been listed for rent: this are warning signs you would love to know while the property has not been rented for a long time this would aid your judgment you can also ask neighbors within the environment to discover why, a lot of factors may contribute to that, don’t ignore them. 5. Previous Occupant: although this point isn’t always necessary when it is a new house, you have to consider the previous occupant and what actually took place in the house before you rented, you wouldn’t want to rent a hose previously occupied by a witch doctor, occultist or people of questionable character. 6. Leaking Roofs: very, very, important or imagine you sweet night sleep being disturbed by drops of water (remember sleeping when the rain is falling is always the sweetest). Check the ceiling, side of the walls and even if it has been repainted you would still see the map of the drops of water on the ceiling. 7. Leaking pipes and cracks on the wall, Tiles etc: You wouldn’t want a reptile/insect infested apartment, to prevent these things you must carefully observe the walls for holes/cracks and also the drainage/pipes in your bathroom and kitchen. 8. Utility Bills: Some landlords/previous occupants are mostly unrepentant debtors especially electricity bills (for estimated users) to avoid the risk of paying for what you did not use. Also find out if the bills are the ones you can pay. 9. Kind of Neighbours: This point is very important and should not be trivialized when you esteem yourself and the comfort you deserve when making decisions of renting an apartment. The kind of co-tenants you share a compound with is a major factor that can affect your marriage, single-hood, children upbringing and peace of mind. Check out for the number of children living in the compound, watch if mums are full time house wives, look out for any form of communal living existing amongst co-tenants, come in the evenings to ascertain the kind of atmosphere prevalent there, the quality of automobiles parked, if any. Have this in mind, the money you pay for the rent of a house should be considered/viewed as a business investment. Utmost caution is needed. N/B. You need to CONSIDER all this questions for the sake of your peace of mind or consider the risk of living with them.